This year it's December 1st (the first Monday after Thanksgiving). I thought Damien was in November? I can't keep track of all the dates and changes. ****!! So I have to fight the white screen of death and people. WHat time will they be putting him up for sale? Is it still 9am like always? Noon for those of us on the East Coast so this way when we get home they will be 100% sold out. .Why Does Scott Say November If The Cyber Monday Sale Is In December. And Damien Gets Released One Month After Doomsday....And Scott Said Damian Gets Released In December?. Damien has been scheduled for December 15th release since NYTF in Feb. He said November probably because Mattel has a horrific track record of keeping things straight. Last year they caused a stir when the misprinted that Batzaro would be released in 2014 It's Cyber Monday for Doomsday and December 15th for Robin that's all there is to it. 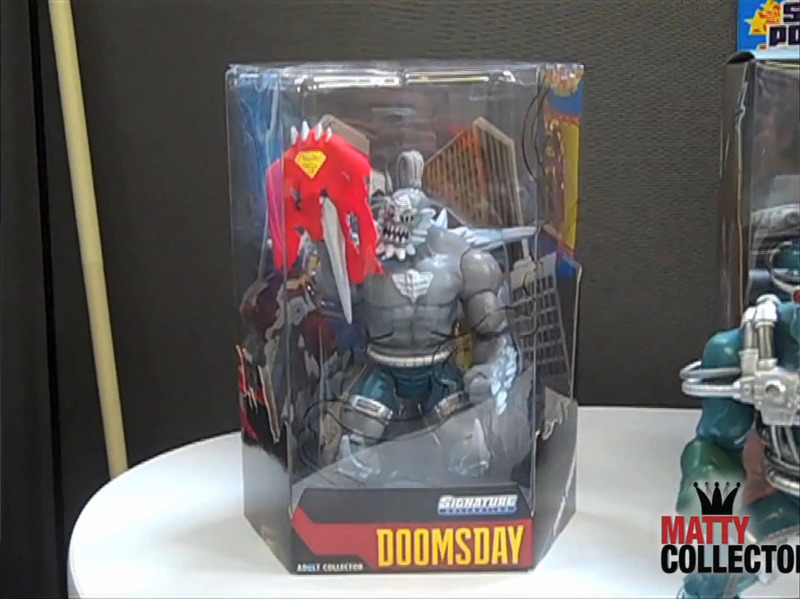 Yeah for an Oversized figure that's really not that bad at all heck Kaltron Burial Shroud Doomsday was going for $35 (that's the same thing as Prison Suited and really that's what he was Kaltron Burial Shroud) I just hope he's there Monday and doesn't sell out. Seeing Snake Men He-Man make's me wish Cartoon Network had one or 2 more Season's of He-Man. That was a very well done He-Man Cartoon.